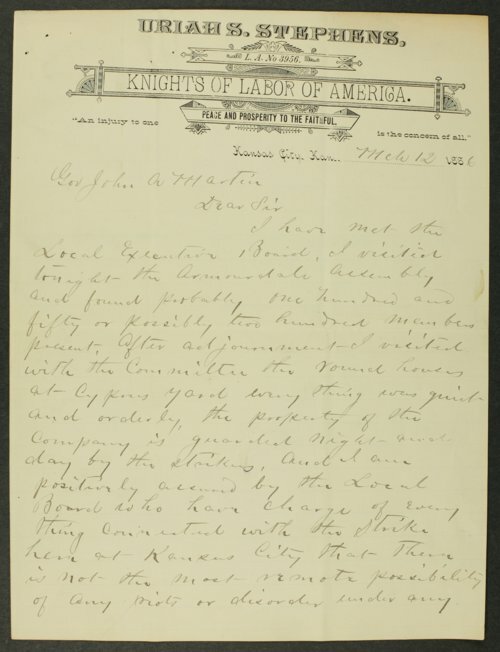 Frank Belton, railroad commissioner, writes to Governor Martin informing him of his visit to the Knights of Labor union meeting. Governor Martin had received several telegrams from local authorities claiming strikers were difficult to control and becoming involved in violent behaviors related to the strike. In this letter, Commissioner Belton notes "everything was quiet and orderly, the property of the company is guarded night and day by the strikers."